What you can do to Prevent Cancer. 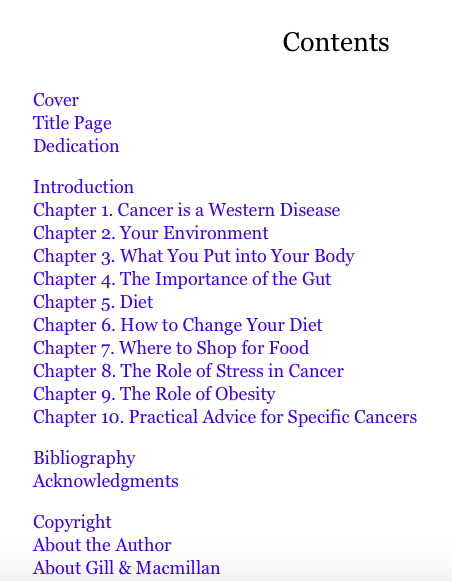 This book outlines some of the practical steps you can take to change your lifestyle and environment to reduce the possibility of getting cancer. Did you know that one in three people in Ireland will develop cancer during their life? Or that an average of 30,000 new cases of cancer are diagnosed in Ireland each year? These are frightening statistics, but there are measures you can take to protect yourself and reduce your chances of developing the disease. we need to change many things in our homes to prevent cancer. 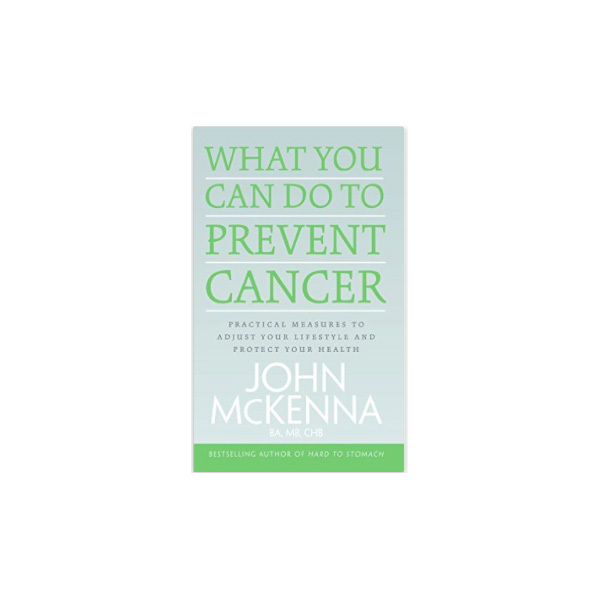 In What You Can Do to Prevent Cancer bestselling author John McKenna provides the knowledge you need to take control of your health. He explores the pivotal role played by your environment, the importance of a healthy immune system, the dangers of stress and advice on which foods you should eat and which you should eliminate from your diet to protect yourself and your health. The cancer society of Ireland estimates that 1 in every 2 people will get cancer in Ireland by 2020. Plus changing lifestyle can account for up to 50% reduction in likelyhood of getting cancer.